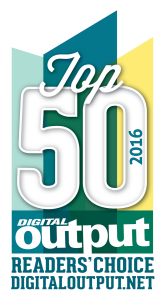 Fujifilm Once Again Named to Digital Output’s 22nd Annual Top 50 Readers’ Choice Awards! Digital Output’s 22nd Annual Top 50 Readers’ Choice Awards have been announced, and once again Fujifilm is recognized by their readership. Each year Digital Output’s dedicated readership dictates the top 50 winners and ten honorable mentions. “We continue to work with some of the most influential vendors in the space, and our readers respond by inquiring about their products year after year,” says Tom Tetreault, editor-in-chief/publisher, Digital Output. Using the magazine’s website metric system, DOdirect.net, the magazine tallies readers’ interest in companies throughout the year. This is done via requests made on print and Web edi torial and advertisements as seen in the magazine, on the website, or in Digital Output’s weekly newsletter the Digital Queue. 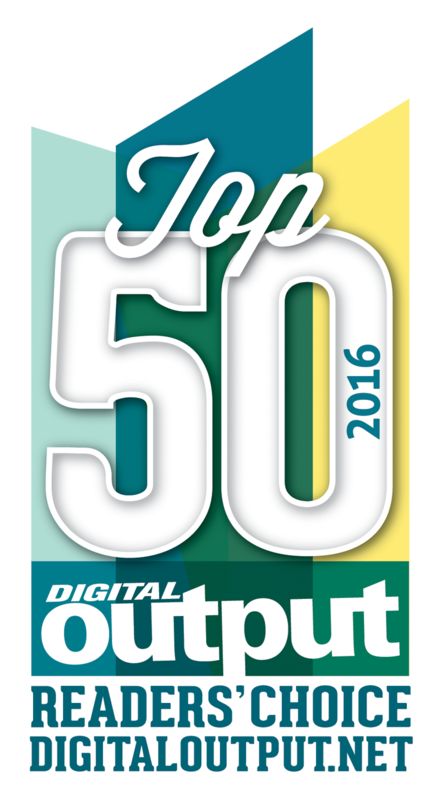 Go to digitaloutput.net to subscribe and be among the first to see the 2016 Top 50 Readers’ Choice Awards winners. It is released in the November issue, as both a print and the digital publication, which is distributed on October 27, 2016. Digital Output magazine provides a practical guide for all print service providers (PSPs) working within the wide format printing segment. Its editorial exclusively targets managers and users of digital print. Topics include image capture, design, output, and finishing. Through product reviews, application stories, and monthly columns we inspire marketers with new technology and show PSPs how to grow their business. Digital Output and digitaloutput.net are owned and operated by Rockport Custom Publishing, LLC.